Nan Reichel brings over 40 years of wealth management experience to the Fundamental Wealth Advisors team. In 1977, she started her career in Minnesota as an Estate, Trust, and Tax paralegal, managing the assets in multimillion dollar estates and trusts. As a paralegal she learned to listen and solve more than just financial problems for clients. Her greatest desire was to have a way to serve people when they were at their most vulnerable point in life. Armed with an understanding of how to navigate through estate, trust, and tax issues with a servant’s heart, Nan has a unique skill set to help clients meet their financial goals. In the fall of 1995 Nan moved to College Station with her family and began working in the Trust & Investment Department of the First National Bank of Bryan. Nan obtained her Series 7 license in 1997, and together with Foster Ullmann, began building client relationships within the Bryan/College Station community. After 22 years of working together, Nan and Foster have developed a team approach to meeting the needs of their clients. In addition to building new relationships, Nan enjoys serving and taking care of our existing client base. Attention to details and multitasking are prerequisites for making sure that people are taken care of and that it’s done right. Problem solving with a caring, fundamental approach to financial issues is a key component to strong, long-lasting client relationships. Nan received her undergraduate degree from the University of Minnesota and her certification as a paralegal from the Institute of Paralegal Training in Philadelphia. She is married to Jim Heilman, a professor at Texas A & M University and together they have a blended family with six children, all of whom graduated from A & M Consolidated High School. They have been blessed with five grandchildren. Nan and Jim travel as often as possible with hiking poles and backpacks to global destinations with mountains – the Swiss Alps and Gimmelwald, Switzerland being their favorite. They are season ticket holders for Aggie football. They love and support OPAS, the Brazos Symphony and Choral. Nan is an active member of Peace Lutheran Church and plays in the hand bell choir. She has served on the church council, the executive committee, and the Peace Endowment fund. 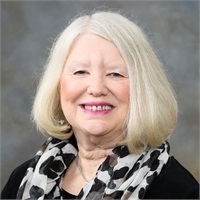 She is a graduate of the 2000 Leadership Brazos program, served as chair of the Junior LB program, served on the board of directors for Keep Brazos Beautiful and has volunteered in many other community organizations.